Victoria, Mahe (Seychelles) – October 20, 2017 (travelindex.com) – All samples from patients suspected to be ill with the pneumonic plague in Seychelles have been tested at a partner laboratory of the World Health Organisation in Paris and they are all negative, the Ministry of Health confirmed on Wednesday. Ten samples – including several suspected cases and one probable case — had been sent to the Institute Pasteur in France for confirmatory tests. In a press statement after receiving the negative test results, the Ministry of Health said all the patients who were isolated on the ward, including the index case, have now been discharged without any further risk. “All admitted persons were on antibiotics, including the second line. They can carry on with normal life as they do not have the plague. As of today, all persons who were still on passive surveillance have completed their time and those who were still on antibiotics can stop,” reads the statement. The Seychelles’ authorities have been on high alert ever since it was confirmed that a Seychellois basketball coach, died in a hospital in Madagascar last month, after contracting pneumonic plague. The alert was heightened after the first probable case of the disease was reported in a Seychellois man who developed plague-like symptoms after returning from Madagascar, which is facing a plague epidemic. The man was admitted in isolation and had been receiving antibiotic treatment. Since then, people who had contact with the man and other suspected cases were also admitted for treatment as part of precautionary measures. It is to be noted that all schools around the country had been closed since last Friday, also as a precautionary measure, but they all resumed their normal operations on Wednesday. While the samples of suspected cases have come back negative, the Indian Ocean archipelago will be continuing with its active surveillance, similar to other countries in the region. The Public Health Authority is maintaining its advisory which is discouraging people from travelling to Madagascar for the time being. The suspension of flights by the national airline to Madagascar is being upheld. The Ministry of Health will also be maintaining active surveillance of visitors who do enter the country from Madagascar, where they will either be sent back or they will be sent to an isolation centre, where a few individuals, including visitors, are already being monitored. The Seychelles Tourism Board and Tourism Ministry said measures that have been taken by all relevant stakeholders to date and the responsible dissemination of factual information, have been crucial in ensuring that there is no unnecessary panic that could negatively impact the tourism arrival figures. 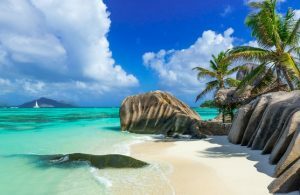 Other than a few cancellations last week, mainly from a few Italian and British visitors who were coming to visit Seychelles but also had Madagascar on their itinerary, it’s been business as usual where the large majority of visitors have been free to enjoy their holiday in Seychelles. The Minister of Tourism, Civil Aviation, Ports and Marine, Ambassador Maurice Loustau-Lalanne confirmed to daily newspaper TODAY in Seychelles on Wednesday that bookings for this week are on the increase once again. It is to be noted that Seychelles is receiving help from the World Health Organization (WHO) to improve the country’s surveillance and preparedness, aimed at reducing the risk of the spread of plague. Training in contact tracing for health workers, Red Cross volunteers, and other key partners have also been conducted. Commenting on the Seychelles’ situation on Wednesday, WHO said the risk of spread of plague in the Seychelles is low.